The Forum was held in Marseille on March 12 to 17. Wasrag Chair Ron Denham attended the Forum and provides the following report: Over 35,000 participants shared experiences and views on the most effective way of addressing the lack of access to safe water, sanitation and hygiene. Maximizing Rotarian Impact in Water & Sanitation (learn all about Future Vision's Pilot Program), Sapphire 4. AND! Do you want to build strong, sustainable WASH programs for your Rotary clubs and district? Learn all about the new Rotary Foundation/Wasrag "PEP" pilot. Wasrag is hosting a series of orientation sessions on the Wasrag Model - and will discuss our new multi-disciplinary Regional Teams and the Program Planning and Performance Teams. Sessions will run through the day on Tuesday May 8th at 10.30 a.m., 12.00 noon, 1.30 p.m. and 3.00 p.m. If you would like to register, click on the SIGN UP link. Location: Bistro de Champagne, 2nd Floor, IMPACT Convention Centre. 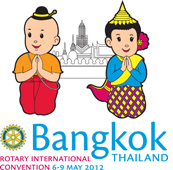 For a detailed list of Wasrag events in Bangkok, go to Bangkok our blog or website. Recently the Wasrag Adopt-A-School program manager visited Dodoma, Tanzania and met with the Africare in-country team. During the visit, the team was joined by the government Rural Water Supply Coordinator and Education Coordinator for a visit to three of the fifteen Tanzanian schools in the program. Interested in Adopting a School? The program is 40% funded! But there is need for more. Contact the program manager for information. 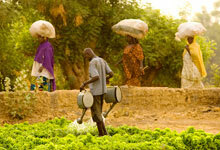 Why Water Shortages in Nigeria & Ghana? In two of the biggest and richest nations of the region, Nigeria and Ghana, pollution, political unrest, and corruption have contributed to water shortages for decades. WHO estimates that every day more than 1000 people die in West Africa from causes related to unsafe water. What is behind the lack of access to safe drinking water in Nigeria and Ghana? Wasrag needs your membership. Membership revenue helps cover our administrative costs, website upgrades, training, development of support materials etc. To check whether your membership has expired, email Anna. To become a member, simply click on the button. NOT ON OUR MAILING LIST? 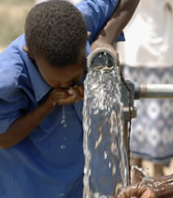 Click here to keep up to date on water & sanitation information and opportunities.